Should a Church be a 508 church? Click here for video of this lesson. When a church depends on a man made law, other than the First Amendment to the United States Constitution which is a statement of the Bible principle of separation of church and state, she has become a legal entity. En1. This grieves our Lord. En2. 508 refers to a law, § 508 of the Internal Revenue Code (26 U.S. Code § 508). Some churches rely on this law, rather than another law, § 501(c)(3) of the Internal Revenue Code, to establish tax exempt status. By relying on § 508 or 501(c)(3), a church has chosen to put herself under the authority of a law made by Congress which establishes a religion and denies the free exercise of religion. She is now either under civil government and God or under civil government only. By choosing to place herself under the rules that come with those laws, the church has become a legal entity, abandoned her non-taxable status as a First Amendment church, and put herself under the Fourteenth Amendment. She has agreed that, should the party she has contracted with, the IRS, a civil government agency, charge that she has violated the rules that come with 501c3 and 508, her only recourse is to comply with the order or go to her chosen authority, federal court, to contest the government order. You see, she now is a legal entity, and all disagreements between the parties to the agreement, the church and the government, must be decided by her authority, the courts of the civil government. A church who places an authority other than the Lord Jesus Christ over her has grieved our Lord by violating New Testament commandment to churches. The First Amendment is a statement of the biblical principle of separation of church and state . When a church relies on the First Amendment, they are relying on a biblical principle. Should the biblical principle be abused or ignored by the civil government, so be it—a church should then rely and act only on the biblical principle. See En3 for links to resources which explain the First Amendment. Obviously, 508 is a law made by Congress which regards an establishment of religion; 508 also prevents the free exercise of religion because a church which claims 508 status thereby submits themselves to some control by the federal government in that the church becomes subject to the rules that come with IRC 501(c)(3) status. 508 does not state that the First Amendment forbids Congress from making any law in violation of the First Amendment; and that, therefore, a church is non-taxable. 508 is a law made by Congress which states that Congress, by law, is declaring an exemption for churches. Thus, by a clear reading of the First Amendment, 508 is clearly contradicts the First Amendment. The correct position which is held by the Internal Revenue Service (“IRS”) is that a 508 church has submitted herself to the same rules that come with 501(c)(3) regulation and given up her First Amendment status. The IRS makes this position clear. A New Testament church (a church organized according to the principles of the New Testament), among other things, receives no income, has no employees or staff, and runs no businesses (daycare, “Christian” schools, “Bible” colleges, seminaries, cafes, etc.). Church members of a New Testament Church give their tithes and offerings to God, not to a religious organization, for use in ways consistent with New Testament teaching. All monies given to God are disbursed in accordance to the guidelines of the New Testament, and no money is left over. Let us use our common sense, if not our biblical sense: Even a business which makes no profit pays no taxes. A church which has no income cannot be taxed. In conclusion, if a church does not apply for 501(c)(3) tax exempt status or claim 508 tax exempt status, and if she is organized as a New Testament church, the First Amendment requires the federal and state government to recognize the non-taxable status of that church. No matter what the civil government claims, that church cannot be taxed anyway because she has no income; she gives her tithes, offerings, and gifts to God, not to a government created religious organization. See En4 for resources which more thoroughly explain church 501(c)(3) and 508 status. For a more thorough explanation see Church Internal Revenue Code § 508 Tax Exempt Status. En1 Is a church a spiritual or legal entity? gives a short explanation. For a more thorough analysis see Separation of Church and State: God’s Churches – Spiritual or Legal Entities? Links to online edition as well as PDF of 2nd edition. En2 Does God Care if our Church is Incorporated? En3 Is Separation of Church and State Found in the Constitution? is a short article which explains the First Amendment. Within that article are links to more thorough studies. En4 Church Internal Revenue Code § 508 Tax Exempt Status; Federal government control of churches through 501(c)(3) tax exemption; The church incorporation-501(c)(3) control scheme; Separation of Church and State: God’s Churches – Spiritual or Legal Entities? “Christian” revisionists never tell the true history of America. They never tell you about, for example, Obadiah Holmes, who was viciously beaten by the Puritans, or about the four Quakers who were hanged for returning to Massachusetts after being banned for their religious views, or about the many Baptists whose properties were taken by the establishment, etc. See, for more proof of the thesis of this article, some of the authorities in the Endnotes below and also List of Scholarly Resources Which Explain and Comprehensively Document the True History of Religious Freedom in America. For more on Christian Revisionism, see David Barton’s Christian Revisionism, Exposing the dangers of David Barton’s teachings, The Consequences of Christian and Secular Revisionism, The Trail of Blood of the Martyrs of Jesus/A Case of Premeditated Murder: Christian Revisionists on Trial . “Wherefore hear the word of the LORD, ye scornful men, that rule this people which is in Jerusalem. Because ye have said, We have made a covenant with death, and with hell are we at agreement; when the overflowing scourge shall pass through, it shall not come unto us: for we have made lies our refuge, and under falsehood have we hid ourselves: Therefore thus saith the Lord GOD, Behold, I lay in Zion for a foundation a stone, a tried stone, a precious corner stone, a sure foundation: he that believeth shall not make haste. Judgment also will I lay to the line, and righteousness to the plummet: and the hail shall sweep away the refuge of lies, and the waters shall overflow the hiding place. And your covenant with death shall be disannulled, and your agreement with hell shall not stand; when the overflowing scourge shall pass through, then ye shall be trodden down by it.” Isaiah 28.14-18. This article was inspired by The church that birthed America which was published in World Magazine and linked to on sermonaudio.com. World Magazine falsely claims that it reports “the news from a Christian worldview—interpreting world events under the reality of the Christian faith.” The magazine actually is a prime example of publishers, for the masses, of “Christian” revisionism. The church that birthed America is another offering, in a continuing stream of deceit, which misleads well-meaning “Christians” in the arena of spiritual warfare. This type of biased and misleading information is constantly served from many directions to mislead “Christians” in America. The church that birthed America is a short article distributed as propaganda to those “Christians” who do not have time to study CRC (Catholic/Reformed/Calvinists) historical and theological deceit. CRC are strangers and foreigners to truth, fellowcitizens with pseudo-saints, of the household of the god of this world. They are built on the foundation of the Pope and clergy, Augustine being the chief corner stone; in whom their building fitly framed together groweth into an unholy temple, built together an habitation of lies. Prominent CRC include constitutional scholars like Edward S. Corwin,[i] and theologians, pastors and writers such as R.J. Rushdooney, Francis Schaeffer, Gary DeMar, Gary North, Charles Stanley, D. James Kennedy, David Barton, Roger Federrer and many others who tirelessly carry the torch of Christian Revisionism directly to mainline “Christians” in America—soldiers on the battlefield, led by the deceivers, to establish “a city set on a hill” (See Matthew 5.14). 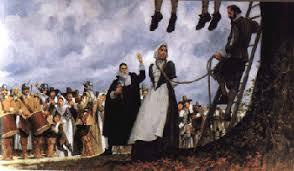 Puritans hung 4 Quakers for returning to Massachusetts after being banished for their religious beliefs. The problem is that CRC walks in darkness, rather than light. “For every one that doeth evil hateth the light, neither cometh to the light, lest his deeds should be reproved” (John 3.20). That is why they lie about history. True history reveals that they, led by the theology of Augustine and continued by Calvin, Luther, Knox, the Church of England, and other Protestants, have tortured and killed tens of millions of those they labeled to be “heretics.” A study of their theology reveals that they will again kill heretics and those who do not honor, at least outwardly, all Ten of the Commandments and much of the Levitical law if and when they again have power to do so. Secular scholars and writers know this and write about it. See List of Scholarly Resources Which Explain and Comprehensively Document the True History of Religious Freedom in America for verification. Since historic fact can be verified, these CRC “Christians” and their followers, through their lies which they refuse to repent of, cause the world to blaspheme the name of Christ. Many believers on that lowest level, myself included for a long time, go out from their “churches” and huddle together in the Republican Party seeking to turn America around. They place their hopes, both spiritual and earthly, in politics. Without their support, the whole pyramid of lies would topple. The bottom dwellers idolize and praise the men above them. They follow “Christian” revisionist lies not only in the political arena but also into their churches and church schools through, for example, the Accelerated Christian Education curriculum. I left that darkness some thirteen years ago when the Lord shined the light of truth into the darkness of the Christian historic and theological revisionism maze I was in. For many years, I had done no independent study. After all, those I depended upon were Christians, were they not? They would not lie, especially about historic fact which can be checked by those who have the time to do so, would they? They have no motive to lie, do they? I found that I had not been correctly answering all these questions. Because of the never ending CRC campaign of deceit which always uses these tactics, very few Christians have ever heard the undeniable fact that the Puritans came to America for religious freedom for themselves only; of the Puritan and Anglican establishments in the American colonies; the persecutions of dissenters by the establishments; colonial leaders of the dissent, their writings and monumental achievements—men such as Roger Williams,[vi] Dr. John Clarke, Obadiah Holmes,[vii] Shubal Stearnes, Daniel Marshall, Isaac Backus, and John Leland;[viii] the many dissenters in the colonies persecuted by the CRC; the written debates between Roger Williams and the Puritan John Cotton (writings which are still available); the very insightful and accurate religious histories and writings of men such as Roger Williams, Dr. John Clarke, and Isaac Backus which exposed the lies and persecutions of the Puritans; the Baptist preachers in Virginia who were persecuted for preaching outside the authority of the established Anglican church; the four Quakers hanged by the Puritans in the late 1650s and early 1660s because they returned to the colony after being banished as “heretics” by the established church (after which England ordered Massachusetts to send any alleged “heretics” to England for trial); the actual positions of Thomas Jefferson and James Madison on the issue of separation of church and state; and many more undeniable facts which the CRC do not wish you to know. Examined in the light of truth, The church that birthed America would be laughable if not for the fact that untold numbers of “Christians” actually believe it. Here is a brief look at the article in light of truth. The Anglicans settled Jamestown in 1607, so, the Pilgrims were not even the first to land in America. The settlers of Jamestown set up an Anglican establishment. The church that birthed America, does give some truth about the story of the Pilgrims. Truth is fine with CRC when it contributes to the cause. But then, the revisionism to lies begins. The article states: “As we recite our own litany this Thanksgiving, our thoughts will turn to the prosperous nation that grew from Bradford’s ‘desolate wilderness.’” Contrast that statement with some solid facts, some history between their landing in Plymouth and the establishing of the United States of America with the adoption of the United States Constitution in 1790? 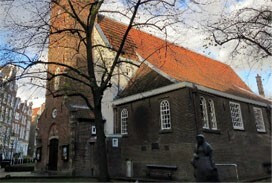 The church that birthed America then connects the Pilgrims and others sent later from English Reformed Church in Amsterdam to the founding of churches and two Great Awakenings, global evangelism, and great missionary movements. To fully explain how totally fabricated this is cannot be done in this short article. Let us just consider one matter: the two Great Awakenings. In America at least, the Puritans and Pilgrims had nothing to do with them, other than trying to stamp out the fires caused by the First Great Awakening. “George Whitefield’s first visit to New England during the Great Awakening around 1740 brought revival. Whitefield preached in buildings owned by churches, out of doors (many times church buildings could not contain the crowds seeking to hear him), and at colleges such as Yale. As a result of Whitefield’s preaching, in a brief six weeks period, the religious climate of New England was changed. The churches experienced unprecedented growth. Entire communities flocked to hear the gospel, and hundreds were converted in single localities…. The church that birthed America then makes some more statements which do not seem to be connected to the rest of the article and then concludes, “[America] has been used to bless the whole world. Let’s pause to consider that blessing this Thanksgiving along with the bounty before us. A blessing we pilgrims again make take to other desolate wildernesses of the world.” ?????? In conclusion, may I inquire, “Is the author 8 years old?” Why would anyone give any serious consideration to this infantile hogwash? “The night is far spent, the day is at hand: let us therefore cast off the works of darkness, and let us put on the armour of light” (Ro. 13.12). [i] Edward S. Corwin is the foremost American constitutional scholar of the twentieth century. Even so, he was guilty of using the tactics described by Isaac Backus. Why? Corwin was born in Plymouth, Michigan on January 19, 1878. He received his undergraduate degree from the University of Michigan in 1900; and his Ph.D. from the University of Pennsylvania in 1905. He was invited to join the faculty of Princeton University by Woodrow Wilson in 1905. In 1908 he was appointed the McCormick Professor of Jurisprudence. He authored many books on United States constitutional law, and he remained at Princeton until he retired in 1946. He fought against separation of church and state. He died on April 23, 1963 and was buried in Princeton Cemetery. Princeton University. New Light Presbyterians founded the College of New Jersey in 1746 in order to train ministers. Following the untimely deaths of Princeton’s first five presidents, John Witherspoon became president in 1768 and remained in that office until his death in 1794. [ii] McGarvie, Mark Douglas. One Nation Under Law: America’s Early National Struggles to Separate Church and State. DeKalb, Illinois: Northern Illinois University Press, 2005. [iii] Lumpkin, William L. Baptist History in the South. Shelbyville, Tennessee: Bible and Literature Missionary Foundation. [iv] Isaac Backus was born in Connecticut in 1723/24, a time when those dissenting from the views of the established church were persecuted. He withdrew from the established Congregational church, became a Separate, and later a Baptist. As a Separate and later a Baptist, he was persecuted and witnessed, researched, and wrote about the persecutions going on in New England. He was a leader in the fight for religious liberty in America. For more information on Isaac Backus see, e.g., William G. McLoughlin, Isaac Backus and the American Piestic Tradition (Boston: Little, Brown and Company, 1967); Isaac Backus on Church, State, and Calvinism, Pamphlets, 1754-1789, Edited by William G. McLoughlin (Cambridge, Mass. : The Belknap Press of Harvard University Press, 1968); Isaac Backus, A History of New England With Particular Reference to the Denomination of Christians Called Baptists, Volumes 1 and 2 (Eugene, Oregon: Wipf & Stock, Previously Published by Backus Historical Society, 1871). Isaac Backus and others such as Roger Williams, and John Clarke led the fight against the establishment of the church in the early history of America, and to their efforts we owe the First Amendment to the United States Constitution which guarantees religious liberty. [v] Backus, A History of New England…, Volume 1, p. 150. This comment followed and preceded illustrations of how those in favor of church/state marriage, infant baptism, etc. advance their cause. On pp. 151-152, Mr. Backus illustrated how those in favor of infant baptism argued their position, pointing out the fallacies of their arguments. Their tactics have not changed, although in America, due to the First Amendment to the United States Constitution, they no longer can call upon civil government to enforce their beliefs and persecute dissenters. [vi] Roger Williams was the founder of Rhode Island, the first government in history with complete freedom of conscience. Due to the efforts of Mr. Williams, Dr. John Clarke, and others who followed America has the First Amendment to the United States Constitution which gives freedom of conscience. “Truth. It is true, my crown is high; my scepter is strong to break down strongest holds, to throw down highest crowns of all that plead, though but in thought, against me. Some few there are, but oh! how few are valiant for the truth, and dare to plead my cause, as my witnesses in sackcloth, Rev. xi. ; while all men’s tongues are bent like bows to shoot out lying words against me? [vii] When Dr. John Clarke and two friends went to Massachusetts they were persecuted. In 1651, he, Obadiah Holmes, and John Crandal went to visit a friend in Boston. They were on “an errand of mercy and had traveled all the way from their church in Newport to visit one of their aging and blind members, William Witter.” They stayed over, and held a service on Sunday. During that service, they were arrested and jailed. Before they were brought to trial, they were forced to attend a Congregational Puritan religious meeting. There, they refused to remove their hats, and Dr. Clarke stood and explained why they declared their dissent from them. They were charged with denying infant baptism, holding a public worship, administering the Lord’s Supper to an excommunicated person, to another under admonition, proselytizing the Baptist way and rebaptizing such converts, and failing to post security or bail and other ecclesiastical infractions. He asked for a public debate on his religious views, which the Puritans avoided. “Clarke said they were examined in the morning of July 31 and sentenced that afternoon without producing any accuser or witness against them,” and that “Governor John Endicott even insulted the accused and denounced them as ‘trash.’”[vii] Dr. Clarke was “fined twenty pounds or to be well whipped;” Mr. Crandal was fined five pounds, only for being with the others; and Mr. Holmes was held in prison, where sentence of a fine of thirty pounds or to be well whipped was entered. A friend paid Mr. Clarke’s fine. Mr. Clarke and Mr. Crandal were released. Mr. Holmes “could take no rest but as he lay upon his knees and elbows, not being able to suffer any part of his body to touch the bed whereupon he lay.” Two men who shook Mr. Holmes’ hand after the beating were, without trial and without being informed of any written law they had broken, sentenced to a fine of forty shillings or to be whipped. Although they refused to pay the fines, others paid their fines and they were released. [viii] For an excellent discussion of John Leland (and some others), see, e.g. Carl H. Esbeck, Dissent and Disestablishment: The Church-State Settlement in the Early American Republic, 2004 BYU L. Rev. 1385, (2004). [ix] William H. Marnell, The First Amendment: Religious Freedom in America from Colonial Days to the School Prayer Controversy (Garden City, New York: Doubleday & Company, Inc., 1964), p. 48. [x] Leo Pfeffer, Church, State, and Freedom, (Boston: The Beacon Press, 1953), p. 66, citing Sanford H. Cobb, The Rise of Religious Liberty in America (New York: The McMillan Co., 1902), pp. 70-71. [xiii] Backus, A History of New England, Volume 1, pp. 34-35. Is a church a spiritual or legal entity? God desires that a church be a spiritual entity, not a spiritual and legal entity. A church is composed of spiritual beings, born again believers. Ephesians presents the local church. Chapters 1-3 are about the heavenly calling of the church and are doctrinal. Chapters 4-6 are about the earthly conduct of a church and are practical. Believers and churches sit in heavenly places in Christ Jesus as they walk on the earth where they are to do God’s work in the family, on the job, in the church, and in the world. Click here to go to more detailed studies on the doctrine of the church from Ephesians and other books in the Bible. They are to walk in the spirit (See, for example, Galatians 5). In Ephesians 1.19-23 we learn that God set Christ “at his own right hand in heavenly places.” The suffix “ly” means “like” or “from,” and when added to a noun creates an adjective. So “heavenly” means like or from heaven. “Heavenly places” therefore means places like or from heaven. God has put all things under Christ’s “feet and gave him to be the head over all things to the church” (v. 22). Colossians 1:18: “And he is the head of the body, the church: who is the beginning, the firstborn from the dead; that in all things he might have the preeminence.” His body is to walk on the earth, and be connected to Him. 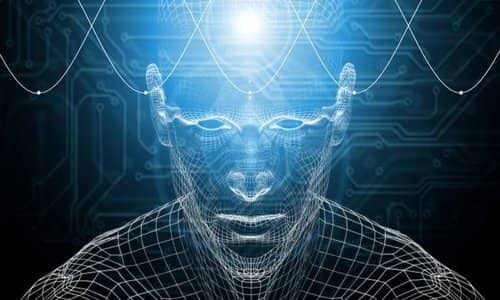 The body is to be connected to the Head. The New Testament makes clear that Christ desires that a church be spiritual, that all the church does be spiritual, that a church have only one head, a spiritual Head, the Lord Jesus Christ. Again, a believer and a church are to be connected to Christ who is the head. A church is “his body, the fullness of him that filleth all in all (23).” He made us to “sit together in heavenly places in Christ Jesus” while we walk on the earth doing His work instructed by the Word of God as led by the Spirit of God.. The Bible has much more to say, but I believe that is enough for our purposes. That describes the church as a spiritual entity or body built by the Lord Jesus Christ over whom Christ is to be the head in all things. A church is a spiritual and eternal organism or body. See, for example, Ephesians 4 and 1 Corinthians 12 for more on that. A church can choose to be what God wants it to be, an eternal spiritual entity under God only. Or a church can choose to be a temporal earthly entity such as a 501c3 corporation under both God and man or under man only. God allows churches the choice. Spiritual blessings follow obedience; curses follow disobedience even though a church under God and man or under man only may have some temporal earthly success for a time. The Bible clearly teaches that the unholy always corrupts the holy when the two are combined. As history shows, the official corrupted “church” was vile to the core. The Reformers became especially aware of the corruption within the Roman “church.” Corruption is inevitable when church and state are intermixed. “Be ye not unequally yoked together with unbelievers: for what fellowship hath righteousness with unrighteousness? and what communion hath light with darkness? And what concord hath Christ with Belial? or what part hath he that believeth with an infidel? And what agreement hath the temple of God with idols? for ye are the temple of the living God: as God hath said, I will dwell in them and walk in them: and I will be their God, and they shall be my people. Wherefore, come out from among them, and be ye separate, saith the Lord, and touch not the unclean thing; and I will receive you. And will be a Father unto you, and ye shall be my sons and daughters saith the Lord Almighty.” (2 Corinthians 6.14-18). History proves this. Union of church and state corrupted the civil government, the Roman “church” and the people, except for a remnant. It also corrupted the established Protestant churches and the nations which had established Protestant churches. For a more thorough explanation of the doctrine of the church, see the resources in En 4. W. Graham Scroggie, born 1877, twelve times the Bible teacher at the famous Keswick, England conference, They Knew Their God, Vol. 5, 194 cited in The Berean Call, February 2006, p. 5, available at www.thebereancall.org. Separation is a Biblical principle that runs throughout scripture—Pastor Hank Thompson gave a tremendous sermon on “Separation” on Sunday evening, February 12, 2006. “Separation.” Sermon preached at Capitol City Baptist Church in Austin, Texas by Pastor Hank Thompson, February 12, 2006. See pp. 149-150 of God Betrayed (this is a link to the PDF). The doctrine of separation is taught extensively in the Word of God. Is it illegal for a church in America not to incorporate? Does a church have to be a 501c3? Click here to go to video of this lesson. It is not illegal for a church in America not to incorporate and a church does not have to be 501c3. A church in America can choose to remain under the Lord Jesus Christ only. The First Amendment to the United States Constitution and corresponding provisions in the constitutions of all 50 states make this clear. The First Amendment is a statement of America’s highest man made law and the a 1947 U.S. Supreme court case applied the establishment clause to the states. So the states are bound, not only by their own state constitutions, but also by the First Amendment. Of course, the federal government is bound by the First Amendment and is not subject to any state constitution. Incorporation is a matter of state law. 501c3 is a matter of federal law. Preamble: We, the people of the state of Minnesota, grateful to God for our civil and religious liberty, and desiring to perpetuate its blessings and secure the same to ourselves and our posterity, do ordain and establish this Constitution. The constitutions of the other states have similar provisions. Below are some quotes from court cases, from the IRS Code, and from some other legal resources. You can go directly to these cases online by clicking the links attached to this article. “A valid trust need not be in writing. It can be created orally unless the language of the written conveyance excludes the existence of a trust. Sanderson v. Milligan,585 S.W.2d 573, 574 (Tenn. 1979); Linder v. Little,490 S.W.2d 717, 723 (Tenn. Ct. App. 1972); and Adrian v. Brown, 29 Tenn. App. 236, 243, 196 S.W.2d 118, 121 (1946). However, when a party seeks to establish an oral trust, it must do so by greater than a preponderance of the evidence. Sanderson v. Milligan, 585 S.W.2d 573, 574 (Tenn. 1979); Hunt v. Hunt, 169 Tenn. 1, 9, 80 S.W.2d 666, 669 (1935); and Browder v. Hite, 602 S.W.2d 489, 493 (Tenn. Ct. App. 1980). “The existence of a trust requires proof of three elements: (1) a trustee who holds trust property and who is subject to the equitable duties to deal with it for the benefit of another, (2) a beneficiary to whom the trustee owes the equitable duties to deal with the trust property for his benefit, and (3) identifiable trust property. See G.G. Bogert & G.T. Bogert, The Law of Trusts and Trustees 1, at 6 (rev. 2d ed. 1984) and Restatement (Second) of Trusts § 2 comment h (1957). We find that the Kopsombut-Myint Buddhist Center has proved the existence of each of these elements by clear and convincing evidence.” [p. 333]. WAUSHARA COUNTY v. Sherri L. GRAF, 166 Wis.2d 442 (1992), 480 N.W.2d 16, Supreme Court of Wisconsin. Submitted on briefs October 4, 1991.Decided February 17, 1992. The Supreme Court of Wisconsin reviewed the evidence and concluded that “The evidence indicates that Basic Bible was established to evade taxation. Basic Bible failed to meet its burden of proving that it is a “church” or “religious association” under [Wisconsin law]. The court held that Basic Bible was not property tax exempt.” The fact that the church held “in trust” the property for which a property tax exemption was sought was not a factor in the decision. The Court concluded that incorporation and 501(c)(3) status is not a prerequisite for church property tax exemption; and, again, made clear that the fact that the church held the property “in trust” did not disqualify the church from property tax exemption. Of course, I could give you many other opinions from state and federal courts that make clear that a church does not have to incorporate. Now let’s briefly look at Internal Revenue Code Sections 501(c)(3) and 508. A church may apply for 501c3 or claim 508 tax exempt status. See Endnote for links to more resources which explain 501c3 and 508. Also many pastors, churches, and Legal Scholars also know that churches do not have to incorporate of get 501c3 status. See relevant law review articles and cases at Law Review Articles: 501(c)(3), 1st Amendment History, etc., and Law on Church Organization (Trusts, Property tax, etc.). Old Paths Baptist Church is not an incorporation not does it have 501c3 status. I have helped many other churches stay out of or get out of corporate 501c3 status. We are not hiding this, we are publishing it to the world. Why? Because what we are telling you is the truth and because you can please God by keeping your church connected to her God-ordained Head without persecution. Who is the head of an incorporated church? The Lord and the state of incorporation are the heads of an incorporated church. The state of incorporation is the head of the incorporated church. 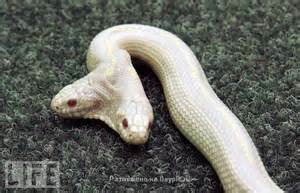 that a corporate church, at best, is a two-headed monster, partially under the Lord Jesus Christ and partially under the civil government of incorporation. Now, first let us consider the first scenario – that is, the Lord and the state are the heads of the church. This happens when an incorporated church complies with some of the Lord’s New Testament commandments for churches. Such a church operates in God’s permissive will, not His perfect will. They are like Israel. God established Israel to be under God only; God dealt directly with them as they pursued their earthly God-given goals, work, and religious activities. Israel rejected the theocracy and demanded a king (1 Samuel 8). God told them He would nonetheless bless them if they would “turn not aside from following the Lord, but serve the Lord with all [their] heart …” (See 1 Samuel 12.20-22 for God’s whole admonition). But once Israel took that first step, the slide down and away from the Lord continued until Israel was completely apostate. The New Testament prophesies the same pattern of apostasy for His churches. We are witnessing it before our eyes in America. God the Son, the Lord Jesus Christ, ordained the church and walked with the church until His ascension. When He ascended, He sent the Holy Spirit to walk in and with believers and His churches under His Headship only; their spirits from heaven (heavenly) making the places where they walk together on earth heavenly. Sadly, most churches are completely under civil government; they are completely apostate. They are under civil government only. If a church does not become a temporal, earthly, legal entity through incorporation or any other acts, and if that church seeks to honor God in all things, she is under God only. Separation of Church and State: God’s Churches – Spiritual or Legal Entities? Links to online edition as well as PDF of 2nd edition. This sermon explains the two meanings of power as used in the Bible and the importance of authority and power and correct doctrine to a church. It explains how great men of God can proceed according to some false doctrine and the consequences thereof. God grieves because His people neither understand nor honor His authority and His precepts. God’s grief calls churches and believers to anguish, but few grieve, few cry, few pray, few even know that there is a call to anguish. The call started a long time ago. Authentic churches in the colonies and then the new nation, even though warned by God’s remnant, betrayed their roots and compromised the authority of God. Their betrayal passed on to future churches. The betrayal of God increased exponentially for 225 plus years to this very day. This article points out one proof of the consequences of this betrayal that should call believers and churches to anguish. God ordained civil government and laid out its jurisdiction. God gave civil government no authority or ability to define “church.” God defines “church” in the New Testament. God also made clear that church and state were to remain totally separate. Yet, that was never the case, except for a remnant, in either the American colonies or the states. “Anthony Levandowski has already filed paperwork with the IRS for the nonprofit corporation that is going to run this new religion. Officially, this new faith will be known as ‘Way Of The Future.’” The article goes on to explain the tenets of the “Way Of The Future,” which include a faith in science which will create a “Godhead” which will make things better and a denial of the existence of God. Had God remained the sole authority for churches, organizations like “Way of the Future” could have existed, but they could not have received official sanction and “benefits” from any authority, earthly or heavenly. Religious Americans, to include many Baptists alongside obviously heretical or apostate Protestants and Catholics, gave civil government the power, the authority to define “church.” Civil government took to the task, first in issues involving state non-profit corporate status; then, later in the twentieth century, income tax exemption status. As to federal tax exemption law, the authority has developed a process and rationale to determine whether an organization applying for 501(c)(3) tax exempt status is a “church.” When determining whether an organization is a “church,” a “religious organization,” or a “religious society,” the IRS (and court, if the IRS ruling is appealed), has a 14 part criteria, which—though not all-conclusive since other factors will be considered when deemed appropriate by the IRS—is a man-made definition; a definition which is partially contrary to the Word of God. En 1 gives the IRS definition of church with link to online IRS webpage; En 2 discusses a sample IRS ruling; En 3 briefly discusses some cases which have attempted to define church and links directly to those cases. The IRS agency makes initial determinations, but the ultimate authority is the judiciary. Regardless of the ruling of the IRS, the losing party can appeal to the appropriate court asking for reversal and laying out their arguments for their position. Ultimately, the case could go all the way to man’s highest authority on issues such as this, the United States Supreme Court. What is wrong with this? God made clear that Christ in heaven is to be the only authority (power or head) “over all things to” His churches. Put another way, a church, the spiritual body whose feet walk and work on earth, is to be connected to only one spiritual head, Christ in heaven. This connection was made after Christ ascended to heaven and filled the members of the church with the Holy Ghost on the day of Pentecost (Ac. 2.4). God the Son, before his ascension, walked with his disciples and apostles. God the Holy Ghost now indwelt them, thereby giving them a direct spiritual link to their God-ordained Head who was now in heaven. “And what is the exceeding greatness of his power to us-ward who believe, according to the working of his mighty power, Which he wrought in Christ, when he raised him from the dead, and set him at his own right hand in the heavenly places, Far above all principality, and power, and might, and dominion, and every name that is named, not only in this world, but also in that which is to come: And hath put all things under his feet, and gave him to be the head over all things to the church, Which is his body, the fulness of him that filleth all in all” (Ep. 1.19-23). “Now therefore ye are no more strangers and foreigners, but fellowcitizens with the saints, and of the household of God; And are built upon the foundation of the apostles and prophets, Jesus Christ himself being the chief corner stone; In whom all the building fitly framed together groweth unto an holy temple in the Lord: In whom ye also are builded together for an habitation of God through the Spirit” (Ep. 2.19-23). “And he is the head of the body, the church: who is the beginning, the firstborn from the dead; that in all things he might have the preeminence” (Col. 1.18). From the above verses, and many more that could be quoted, one sees that God desires his churches to be spiritual entities or bodies (See also, e.g., Ep. 4 and the whole book of Ep., Col., and 1 Co. 12 for more on churches as spiritual bodies) connected to their only God ordained Head, the Lord Jesus Christ in heaven, while walking and working for the glory of God as heavenly, spiritual, eternal entities only here on the earth. Churches are to be “builded together for an habitation of God through the Spirit,” not built together as corporate 501(c)(3) or 508 organizations according to man’s earthly, temporal, legal laws. All incorporated and/or 501(c)(3) and 508 “churches” operate under the authority of both the state government of incorporaton and the federal government, even those who also have or once had some connection to the Lord Jesus Christ. The latter sometimes operate partially under Jesus Christ and partially under civil government; sometimes solely under the authority of civil government. See also, e.g., 1 Co. 12. In conclusion, should the IRS and/or the court decide that “Way Of The Future” is a qualified tax exempt religious organization or church, true churches will coexist as earthly legal entities alongside not only already existing corporate 501(c)(3) organizations such as Planned Parenthood, the Church of Wicca, and the Church of Satan, but also another Godless and God-defying organization which directly challenges God and His existence. Because they do not remain under their God-ordained authority (power or headship)—the Lord Jesus Christ—they will possess either no power of God or, at best, a watered down power of God. They betray their Lord, they lose God’s power, God grieves, and they could care less! Churches have betrayed God, lost the power of God, and caused our Lord who loved the church and gave himself for it to grieve by incorporating and getting 501(c)(3) status. Where is the anguish? Listen to the powerful clip from sermon A Call to Anguish. “The term church is found, but not specifically defined, in the Internal Revenue Code. With the exception of the special rules for church audits, the use of the term church also includes conventions and associations of churches as well as integrated auxiliaries of a church. “The IRS generally uses a combination of these characteristics, together with other facts and circumstances, to determine whether an organization is considered a church for federal tax purposes. See DEFINING “CHURCH” – THE CONCEPT OF A CONGREGATION by Robert Louthian and Thomas Miller for a discussion of court application of the above criteria. In other words, the IRS determined that an organization whose purpose was directly contrary to the principles for a church laid down by the Lord in His Word was a church. Note. The above ruling is available on LEXIS, a legal website which charges for its services. The website can be assessed in some public law libraries and law firm libraries. A family organized as an incorporated 501(c)(3) “religious society” and claimed property tax exemption. “People may not transform their families into religious organizations and thereby obtain exemption for property over which their dominion and use remain unaffected. Granting tax exempt status to PCO would exalt form over substance and violate the rule of construction that exemption statutes are strictly construed.” The case cites and discusses various cases from other jurisdictions. Purported religious organization which was organized and operated primarily for motive of tax avoidance by private individuals in control of 501(c)(3) corporation, had no formally trained or ordained ministry, had no sacraments, rituals, education classes or literature of its own, had no liturgy other than simple meetings resembling mere social gatherings or discussion groups and did not require a belief in any supreme being or other being, and whose doctrine and beliefs were intentionally vague and nonbinding upon its members and whose members freely continued to practice other religions, was not a “church” as such term was used in state’s tax exemption laws. Threshold question in determining whether real property is “church” entitled to tax exemption is whether entity claiming exemption is “church” within meaning of statute…. The organization in this case was an incorporated 501(c)(3) church. Test for determining whether organization is “church” entitled to tax exemption is subjective one, focusing on sincerity of belief and taking into account evidence on objective issues. … Principal motivation for organizing religious corporation was tax minimization and therefore, organization was not “church” and, therefore was not entitled to real property tax exemption in view of evidence that most of financial contributions to organization came from individual founder, that most of founder’s income came from taxpayer, that founder was primary beneficiary of organization’s financial actions, and that founder and his wife, who was co-founder, dominated meetings of organization’s board of trustees. The Supreme Court of Wisconsin reviewed the evidence and concluded that “The evidence indicates that Basic Bible was established to evade taxation. Basic Bible failed to meet its burden of proving that it is a “church” or “religious association” under [Wisconsin law]. The court held that Basic Bible was not property tax exempt.” The fact that the church held “in trust” the property for which a property tax exemption was sought was not a factor in the decision. The Court concluded that incorporation and 501(c)(3) status is not a prerequisite for church property tax exemption; and, again, made clear that the fact that the church held the property “in trust” did not disqualify the church from property tax exemption. · Separation of Church and State: God’s Churches – Spiritual or Legal Entities? Click here to go to page with links to all Essays and Articles by Jerald Finney. The numbers at the beginning of each essay and article is the number assigned on the “Essays” webpage and indicates the order in which the article was added to that webpage. 93. ANSWER TO A BIBLE COLLEGE VICE-PRESIDENT’S ARTICLE ON CHURCH INCORPORATION: “TO INCORPORATE OR NOT TO INCORPORATE? 23. Is Separation Of Church And State Found In The Constitution? 11. Does God and/or Civil Government Require Churches to Get 501(c)(3) Status?